Race Review: National Vertical Marathon 2016 (By RunYourPace) | JustRunLah! The National Vertical Marathon (NVM) 2016 was held on 22nd May and it was organised by the Nanyang Technological University (NTU) Sports Club. 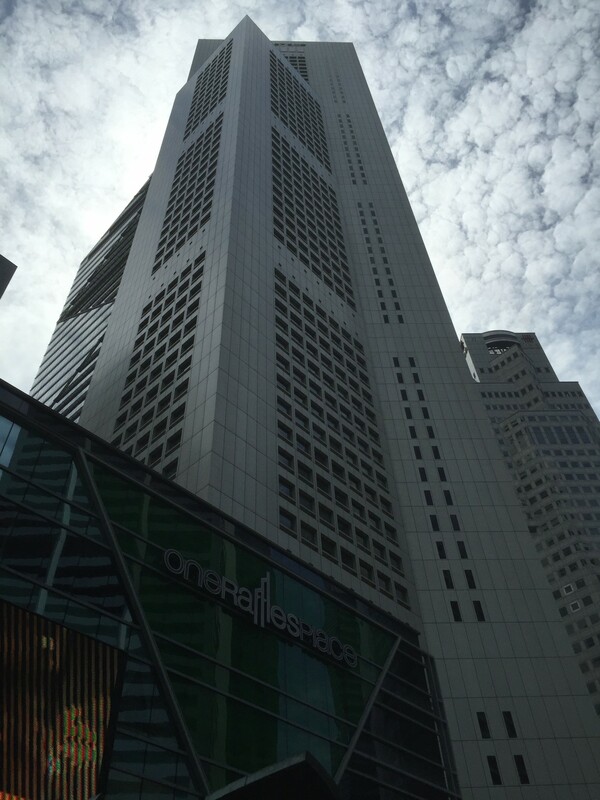 This vertical challenge is 63 storeys high with 1576 steps to conquer up One Raffles Place, one of the three tallest skyscrapers in Singapore. There are various categories for NVM; individual, team and relay! With such an affordable price and superb organisation from the previous years of participation, there were no second thoughts about joining. As per usual, we signed up for the Lovers Challenge which meant that we would be running up the building together as a couple. There are 2 major differences between NVM and usual running events. Firstly, there is no separate day for the collection of the race pack as you get it on the day itself. Secondly, there is no common flag off time for all participants. Instead, an individual reporting time is sent out to each team/couple/individual a week before the event. Our reporting time this year was at 2.25pm, which was much later than the timings we got for the previous 2 years which was about 10.45am. Being the kiasu/early birds we always are, we arrived at Raffles Place around 1.45pm for registration, which was conducted under a huge white makeshift tent right next to the MRT station. During registration, we got our bibs and race tees! One thing to note is that you don’t need to print out and bring your declaration and personal data protection act form as they will have you to sign it on the spot (lesson learnt!). Another thing to note is that there will be a 45 minutes interval between your given registration time and flag off time. Our flag off time was at 3.10pm with 2 other couples from the Lovers Challenge. We met at the gathering area located underneath One Raffles Place, which was also where we deposited our bags too. We were flagged off in a group of 3 pairs, with a short interval between each group to prevent overcrowding at the stairs. The organisers did a brilliant job in this as throughout the climb, we did not face any congestions or clashing between other participants 👍. This year we were aiming to beat our personal best of 18minutes 9seconds from last year’s timing… and honestly, it was not easy >< I took the strategy of climbing 2 steps at a time and at the same time pulling myself up using the railings. Probably due to insufficient training, I was already dying on the 20th floor while Kang Jing was still going strong! There were hydrations points around every 15 stories with water and 100plus but we didn’t stop to take the water as we carried our own bottle with us. There were also volunteers stationed at various stories of the stairs and some were giving us encouragement to keep going :). A huge salute to them because it should be quite hot and stuffy to be stationed in the stairs for such a long time! We had a post race surprise when we came down from the building and it was totally unexpected. If you want to find out more about the surprise and also what is in the racepack, read more on our blog. Remember to follow us on instagram @runningmypace!